Set amidst mountains, Chiang Mai is a city in Northern Thailand that is well known for its rich history dating back to the 1200s. There are so many facets of Thai culture to experience here, and the magnificent temples in and around this city are amongst the most visited sites in Thailand. Built in 1383 as a Buddhist Monastery on the holy hill Doi Suthep, this temple is still a working monastery. 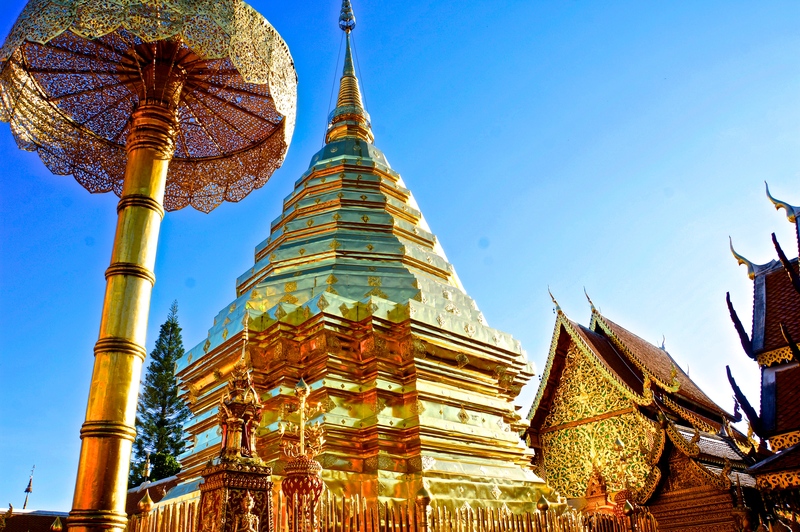 Wat Phra That Doi Suthep, often called Doi Suthep, is home to a replica of the famous Emerald Buddha of Bangkok as well as one of the world’s largest gongs. The large gong, along with many of the bells hanging around the temple, are constantly rung by devotees as a mark of worship and wishing. The impressive golden pagoda stands at the center of the temple and is surrounded by a variety of shrines. Travelers can ascend 300 steps on the Naga Serpent staircase up to the temple or use a paid service lift to access the temple complex. It also has a large terrace with an expansive view of the entire city of Chiang Mai and the surrounding mountain villages. Located 15 km outside of Chiang Mai city limits, Doi Suthep can be accessed by tuk-tuks or songathaews for about 4 USD each way. One can also rent a scooter for about 6 USD (24 hour rental) and stop at viewpoints along the way to take in the stunning hillside landscape. Originally planned for construction by a 14th century king in the honor of his deceased father, this temple took unusually long (up to the mid-15th century) to be completed. At the time of completion, it was the largest temple in all of Lanna or the Indianized State of Thailand. 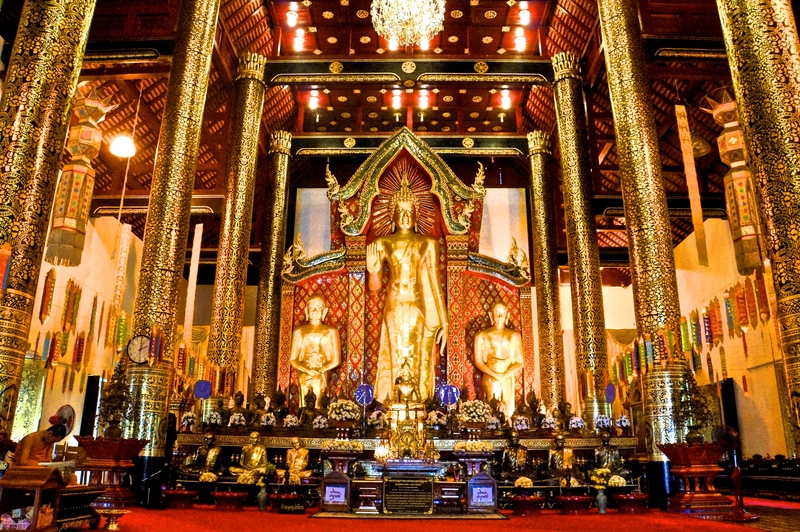 Chedi Luang was once one of original homes to the famous Emerald Buddha of Bangkok. Now, it houses a replica of it, made of black jade stone. The city pillar of Chiang Mai, named Sao Inthakin is located on the temple grounds. An elaborate 8 day Inthakin festival is held yearly in June to honor it. 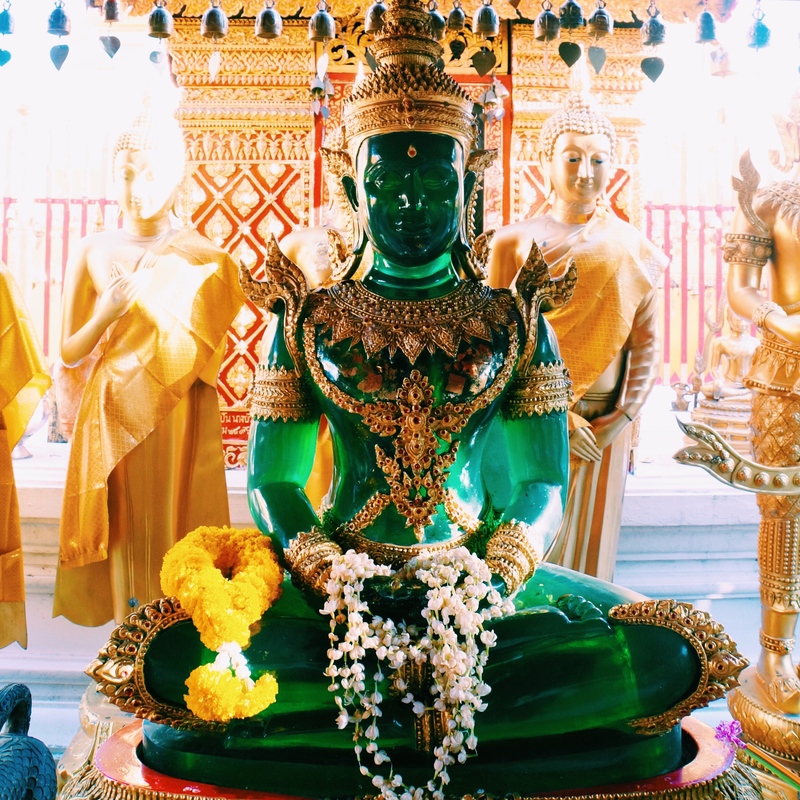 This temple is located in the heart of the old walled Chiang Mai city. 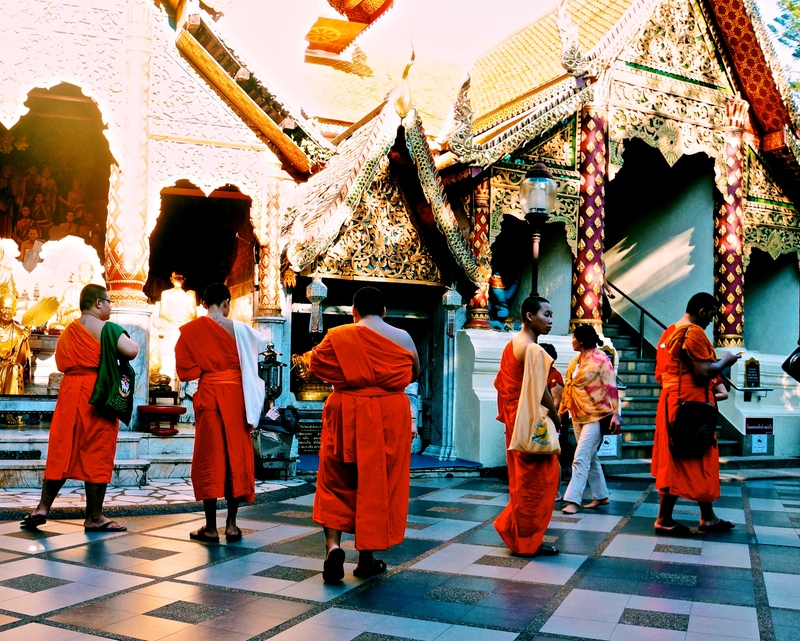 Once in Chiang Mai, travelers will be able to walk or take a short tuk tuk ride to the temple. From New York, travelers will need to make a connection in Asia. 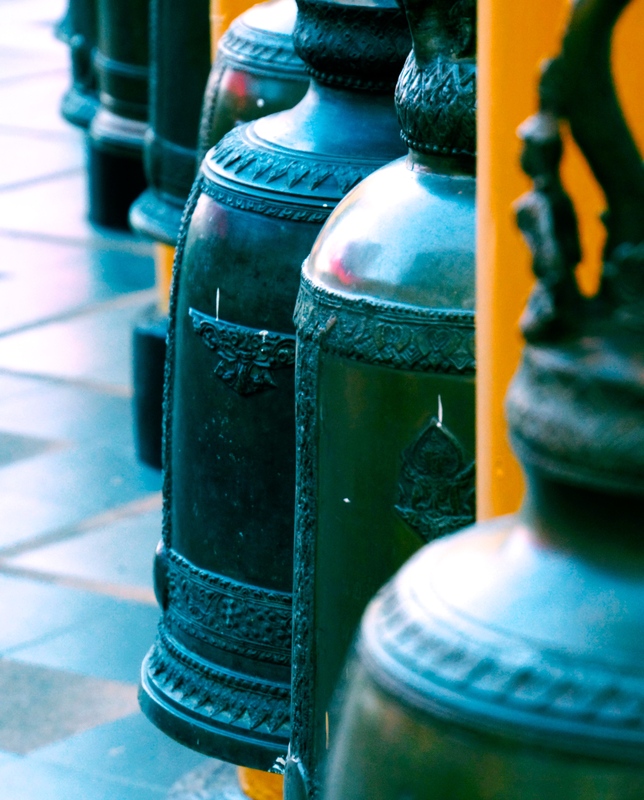 Cheap flights to Chiang Mai can be found from several cities in Asia on local carriers. Direct flights to Chiang Mai can be found from the following cities: Bangkok, Hong Kong, Shanghai, and Guangzhou. It is mandatory to cover up appropriately before entering the temples. Make sure to cover your shoulders (at least short sleeves) and opt for long pants or a long skirt. Trousers, shirts and sarongs are usually offered for rent or purchase outside the temple if need be, but I wouldn’t suggest relying on them as they can be quite hideous (think pictures). You can also carry a thin scarf to cover up before entering. Fall and winter are the best times to visit South East Asia in general, as summers and monsoons can get pretty hot and unpleasant. That said, these temples are open all year around. They typically close at around 5pm every day and each may take at most an hour or so to explore. It is quite easy to visit both of these temples in half a day. An entry fee of 250 THB (includes one drink) or around 7 USD gets you into this dark pub, located in the middle of the Anusarn Night Bazaar of Chiang Mai. As you walk in, find yourself a seat closer to the center of the brightly lit stage as you are about to witness one of the most colorful performances in all of Thailand. The lady boys walk onto the stage with exquisite costumes and start performing to upbeat radio hits. This is a very entertaining activity after an evening of shopping. 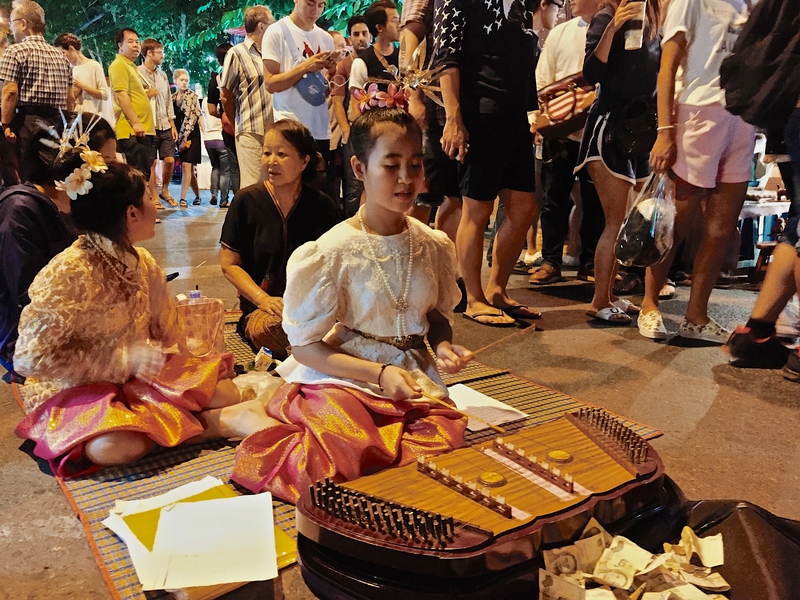 As the name suggests, if you find yourself in Chiang Mai on a Sunday evening, this market is a great showmanship of arts and crafts exclusive of the Northern Thai communities. 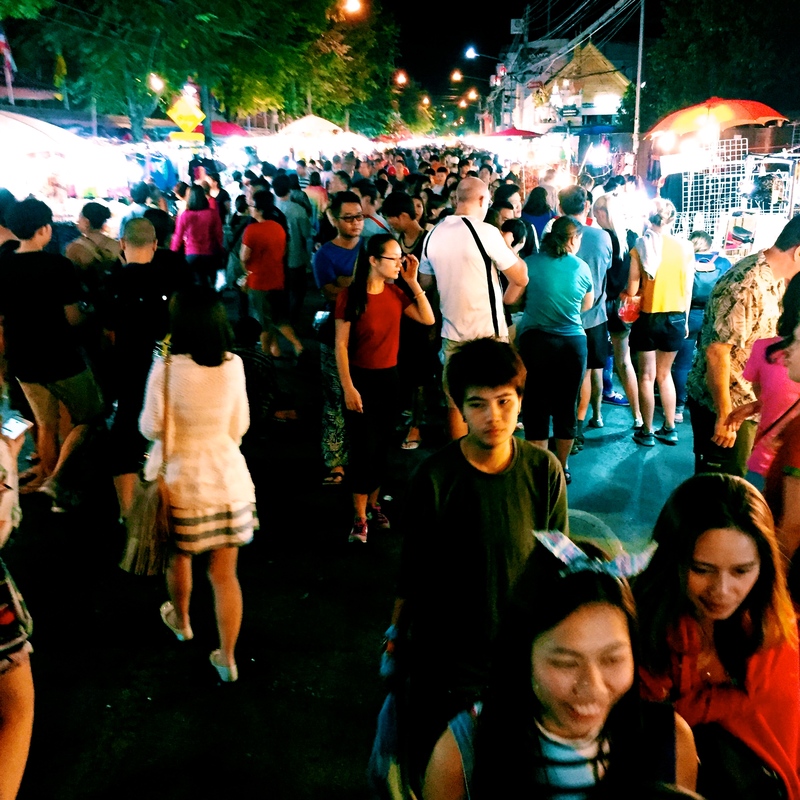 It begins at the Tha Pae or the East gate and continues down to more than 1Km along the main streets which are converted into walking streets as they are closed for traffic during this weekly event. There is also a food market in the center of it all, where you can walk around sampling tasty Northern Thai street foods. 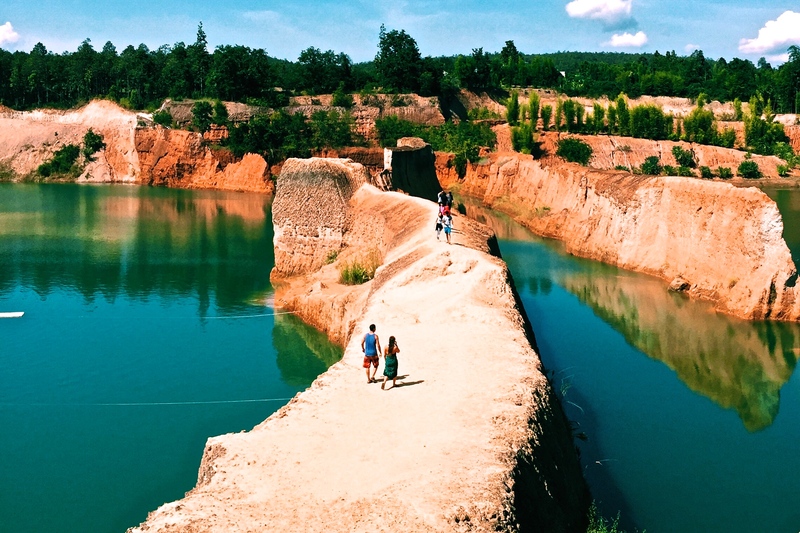 More commonly known as the Grand Canyon of Chiang Mai, this dug out piece of earth is an old quarry that has now been filled with blue waters. It is a 40 minute drive outside of Chiang Mai on the way to the Hong Dong. Travelers can relax for an afternoon at the clifftop restaurant, go swimming or sunbathe on wooden rafts in the water. However, caution is advised if attempting to dive off of the cliffs, as the water depth varies at points. 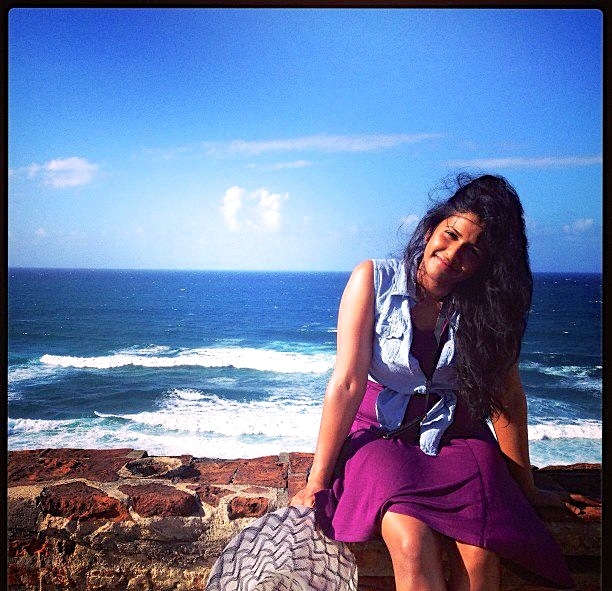 Thanks to Archana, our fabulous globe trotter, writer, photographer, and travel expert for sharing her experience in Chiang Mai!